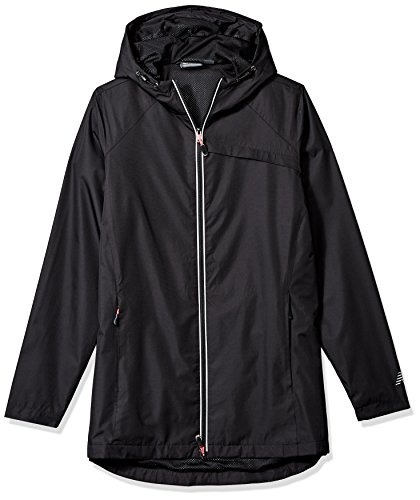 New Balance This lightweight intermediate longer length jacket is great for the outdoors and athletic consumer. HOODED, reflective front zipper for visibility at night, zippered pockets for extra security, wind and water, longer length for extra coverage. -Jacket is fully mesh lined.